Panasonic has announced the launch of its next-generation Toughbook FZ-T1 handheld device. The 5-inch Android device features an integrated barcode scanner and a wide range of functionality and accessories. “The Toughbook FZ-T1 is an important addition to our rugged handheld portfolio. Our customers are seeking a practical, rugged solution with a sleeker finish which can still withstand difficult conditions - and that is exactly what we have delivered,” said Clare Hose, Product Marketing Manager, Toughbook, Panasonic. 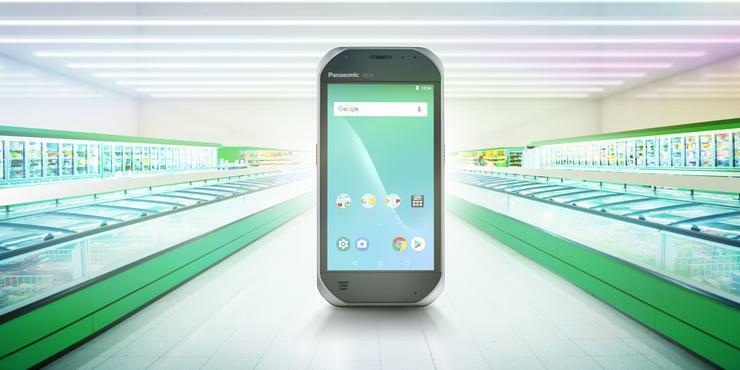 The Panasonic Toughbook FZ-T1 handheld will be available in a 4G model that has the Android 8.1 Oreo operating system, a Qualcomm Snapdragon 210, 16GB Flash and 2GB RAM storage. Panasonic say the FZ-T1 comes with a 12-hours of battery life and hot-swappable batteries that can be swapped out without the device losing power. No word yet on how much these batteries will cost, but they will be sold seperately. The FZ-T1 also features an 8-megapixel rear camera for easy document capture. “Mobile technology is clearly the future for business, but technology churn continues to be a significant cost challenge for organisations. It’s no surprise that with savings of up to 15% over a five year period on total cost of ownership, Panasonic’s rugged devices are becoming the logical choice for decision makers who are seeking long-term investment in technology solutions,” added Hose. The Panasonic Toughbook FZ-T1 handheld with 4G data and voice capability is available for $1899. For more information, visit https://business.panasonic.com.au/computer-product/.